A very visual update today on our new Artful default session! 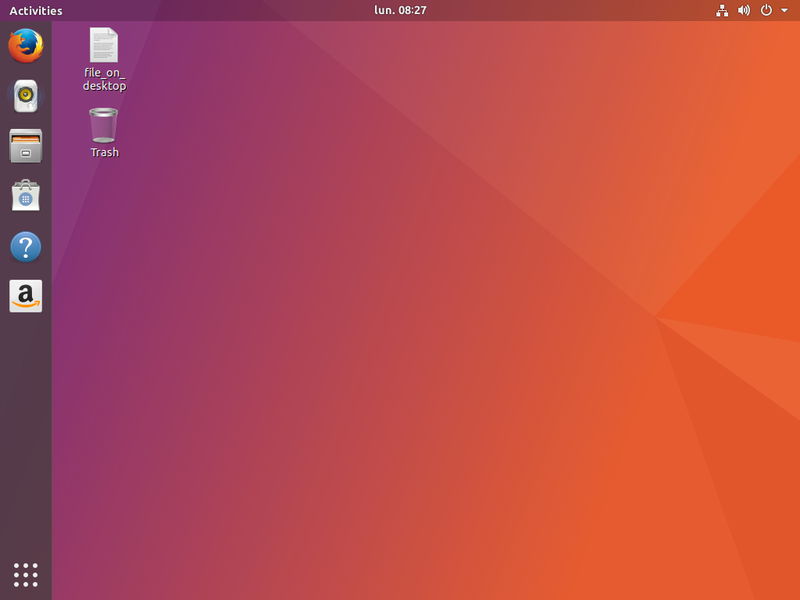 This one is, as promised about our new GNOME Shell theme and you can see below some examples of those changes. For more background on this, you can refer back to our decisions regarding our default session experience as discussed in my blog post. As you can see here, we are based on GNOME Shell 3.25.91 (upcoming GNOME 3.26), which presents, for now, a transparent top panel until you have an application touching it. We followed thus that trend, knowing that there are upstream discussions around readability issues due to lack of real blur and the upstream GNOME team may revert that change before 3.26 final. We will follow whatever decision taken there: if the panel is kept transparent, we will probably have to adapt slightely the Ubuntu Dock rendering with it. The most noticeable change compared on the upstream one is the top panel gradient, matching our title bar style. It was commonly shared by the community, from comments on this blog posts and other popular community forums that the black top panel was slightly mismatch when a gradient title bar was next to it. Back on the same feedbacks, rounded corners became straight. Indeed, with nautilus displaying the background wallpapers for icons on desktop, and the panel being a gradient instead of pure black, the rounded corner seemed misplaced (dark/black uniform corner). We thus adapted this and removed the matching rounded shadow when maximizing an application. Another change we did around the same time is to change Ubuntu Dock default to present a live preview from any application windows. For maintainability purposes, apart from some color rotations on the grey and straight color changes, we mostly use overrides in our ubuntu.css file for the presentation we wanted to change. However, some source colors are sometimes matching multiple destinations: that prevented us to work straight from the sass files. We plan to get that enhanced next cycle working in upstream GNOME on theming. As usual, the default GNOME Vanilla session kept its own upstream theming (apart from the GDM screen, which is system-wide). Also, the Shell theme is only available for Ambiance right now. We didn’t tackle a Radiance compatible theme yet. Knowing that GNOME Control Center doesn’t allow you selecting a theme, it’s probably something that we’ll bring back, with adapting the Shell to the correct theme. However, this is quite some work at this stage of the cycle and we aren’t sure we’ll have time for doing this before the 17.10. We have a lot of other gotchas and important bugs to tackle first! Any help from the community around those areas are more than welcome, either contact us on #ubuntu-desktop (IRC/freenode) or via the buntu Desktop mailing list if you are interested and have CSS and/or C skills!